The Elements of User Experience â€“ great overview of the breadth and depth of the concerns of user experience and our process.Subject to Change â€“ great summary of our fieldâ€™s view of the value of design-driven product and service developmentSketching User Experiences â€“ the importance of visualizing our ideas throughout the software development lifecycleObserving the User Experience: A Practitionerâ€™s Guide to User Research â€“ great methods for your toolkit, like user interviews, contextual inquiry, usability testing, and card sorting.Design Is How It Works: How the Smartest Companies Turn Products into Icons â€“ case studies in applying design holistically to companies, products and servicesDesign of Business â€“ highlights how organizations can use design thinking for a competitive advantage;The Experience Economy â€“ this book is over 10 years old but still very current. Itâ€™s about staging experiences that are focused on people. via What a BA should know about the UX profession: Interview with Patrick Quattlebaum. 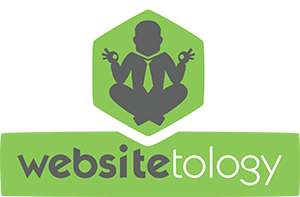 If your website doesn’t have RSS, search, comments or all that other Web 2.0 wonderfulness- or if you don’t know how to use YouTube, Twitter, Facebook and Foursquare or your site to drive people to your site- you need to come to Websitetology. The morning is dedicated to learning how the web works- from how Google indexes, to what the real story is on “Search engine optimization” and what and how your web site statistics can give you insight on your business and on your competition. The afternoon will introduce you to how content management systems can make managing your website and producing content can be easy- with zero code to learn. Now in it’s fifth season, Websitetology has helped hundreds of small businesses act like big businesses on the web. If you still believe websites cost thousands of dollars and that you have to pay to get on the first page of Google, this seminar will change the way you think and operate on the web. There are more expensive ways to get online- and the front page of google- but this one, you can do yourself. Be there. And remember- each registration also comes with a free return visit to one of the next three seminars for a refresher.